We had been threatening to try Torchy's since they opened in Cedar Park, and finally we got around to it. If you like tacos, and I do, and if you don't mind your food being well salted, and I do, you will like Torchy's. Despite the fact that my taco was really good, it was also really salty and I just couldn't finish it. However I still give them an 8 out of 10. I have a low salt tolerance and while Mildred found her taco slightly over salted also, she was able to finish it. Larry likes a lot of salt, so he had no issues with that. I was disappointed that they didn't have crispy tacos as I have only recently tried these (seriously) and wanted to try them again, but when I tasted their tortilla I forgot my disappointment, it was excellent, and I am sure, much better for me. I guess most people have two tacos, because the four we ordered came two in a basket, so only two baskets, our server supplied us with a third basket without delay and we rearranged them accordingly. I think we may return, as we all agreed their flavors were great, but I will wait until I have a queso craving and have just that and be quite satisfied. Torchy's have a facebook page if you are interested in checking that out, click here. 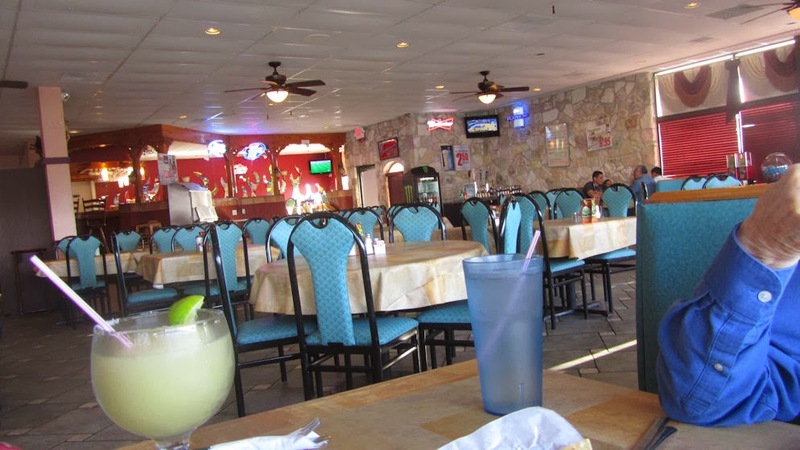 Before I start, I have to tell you that I have eaten at Los Reyes in Cedar Park and on that occasion the food was good and the atmosphere was also very good however, the prices were a bit on the high side I thought. Larry got a 'Living Social' coupon for Los Reyes in Austin, though in fact it is just south of Cedar Park, so not really that far from us. On 183 just south of Lake Creek Parkway, in the strip mall where the HEB used to be. Their prices were still way too high, even with the coupon, it was most definitely not value for money. We started with salsa, queso and chips. The small queso was $3.75. it looked like custard and tasted like milk, even after we mixed in some of the spicy salsa, it was still not at all good. We have learned from experience to ask if they chill their red wine before ordering. I can't drink chilled red wine and most Mexican restaurants do store it in the cooler. Sure enough it was chilled so I had a beer. Larry had his usual frozen margarita and Mildred had water. 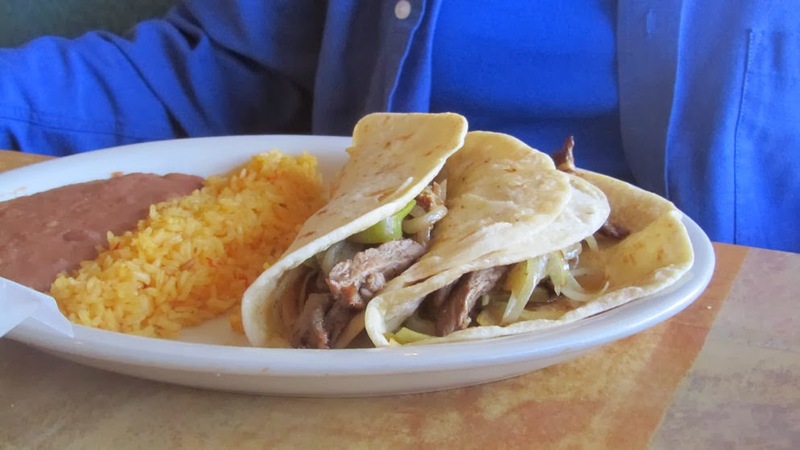 For her entree, Mildred ordered beef fajitas, which didn't look very good, and she said the meat was tough and tasteless. I had the 'Deluxe Plate'. 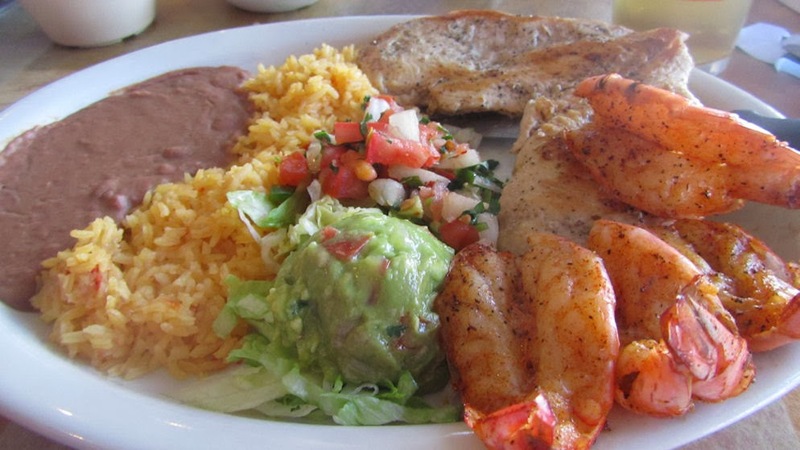 Grilled chicken breast with grilled shrimp, rice, beans, pico de gallo & guacamole. The chicken had been beaten flat and looked and tasted like it had been cooked the day before and warmed up before serving. The shrimp were extremely tough, so I am guessing they were also reheated and the pico was extremely tired looking and tasteless.I ate a couple of shrimp but they were not good and I had a small piece of the chicken, also quite unpleasant. Sad to say the only thing on my plate that was in any way edible was the rice, and I don't much like rice. 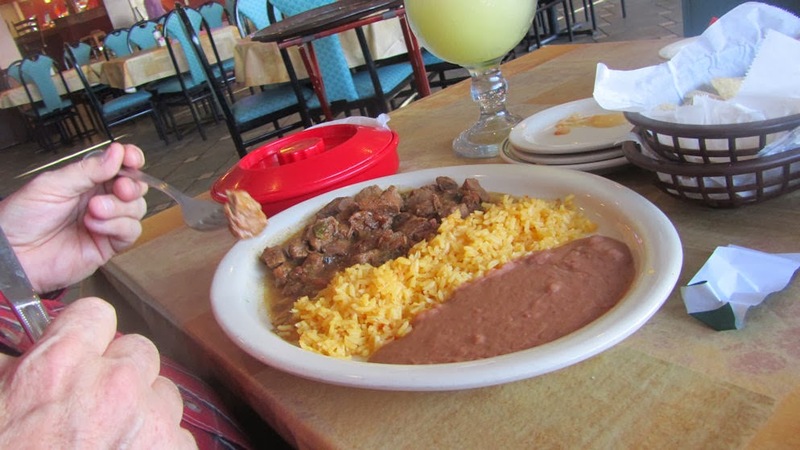 Larry had carne asada and was happy with his choice, although I thought it look most unappetizing, he said it tasted good. The service was quick and our server was very efficient. To be honest, I would have preferred to wait longer for better food. Had the food been good I might have been able to overlook the decor, but unable to eat, I had time to look around. 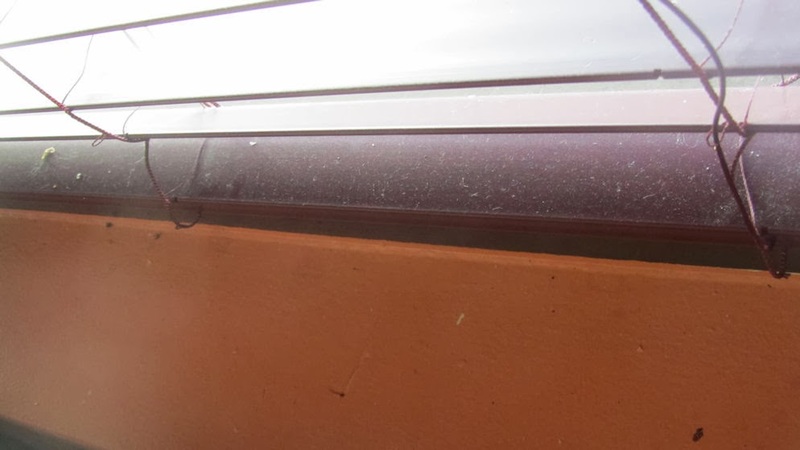 I was seated by the window and the wood blinds were dusty and dirty, there were scraps of torn napkin and dead flies on the window ledge. 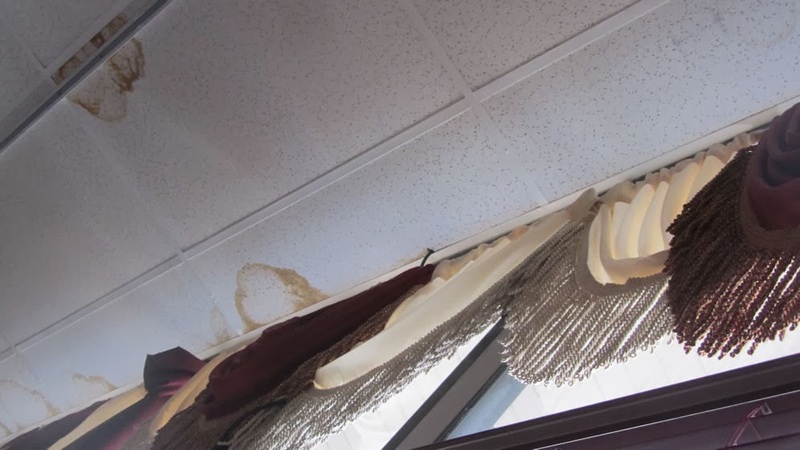 The ceiling was mottled with brown rings where water had leaked through and the rest of the decor was standard Mexican restaurant. Larry tells me I am too fussy, but I believe that if I am paying almost $14 for a meal, I want to be able to eat at least half of it, and I would like if the smell of the meal was not offensive. It is also nice to be able to eat in relatively clean surroundings. I worry that if they don't clean the areas the customers can see, how clean are the areas we can't see, like the kitchen? 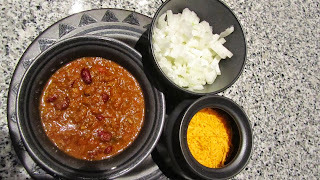 OK, before I start, believe me, this is NOT a Texas Chili - I have been making this chili since my kids were very young back in Ireland. It is developed and changed according to what ingredients were available to me, depending on what country I happened to be cooking it in. But it is basically the same as when I first dreamed it. One of the things that is consistent in my cooking, wherever possible, is lots of vegetables - one of my sons would not eat vegetables for love or money. I managed to feed them to him by blending them into an otherwise mainly meat based dish, such as chili, curry or shepherds pie. So, as a result this chili recipe contains probably as much, or more vegetables than meat. Suits me. Feel free to substitute any vegetables you prefer. I have used cauliflower and potatoes and I do recommend where possible, use organic veggies - the taste is so much better, but also, assuming you can be sure they are organic, they are so much better for you. Also, experiment with the seasonings according to what is available to you. For instance, if you can't find the packets of McCormick's seasoning, just increase the amount of paprika, chili powder, comino and crushed red pepper flakes. Don't forget to google if you happen to live somewhere other than the US to find what is a comparable seasoning in your part of the world. For instance, comino is known as cumin in Europe. This recipe is designed to be frozen. 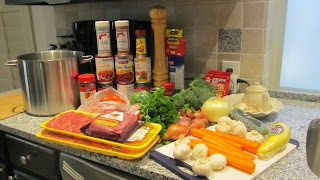 I love to cook, but I do prefer to cook when I feel creative and have the time, no pressure. So I plan ahead, cook in volumn and freeze. This particular recipe will make 18 to 20 servings. As I have a 3 adult family, I freeze in 3 person containers and this lasts us a very long time. It does actually improve with freezing, the flavors blend together... or something - just believe me, it tastes better. salt & pepper to taste ( I know, I hate when I see that, but seriously, taste and add what you think it needs always remembering, your guests can add, they can't take away). chop the carrots, broccoli, squash and peppers, half the shallots and half the mushrooms and puree using the red wine or beef broth to help (I strongly recommend the red wine, it adds a wonderful flavor and the alcohol does cook off). 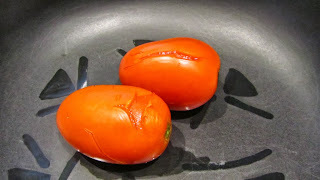 If you don't have a blender, cook till soft and mash well. If you plan to serve immediately, cook for a further hour otherwise allow to cool then decante into freezer containers according to the size that best suits you. When serving, can be reheated over a stove, but a microwave is definitely much easier. 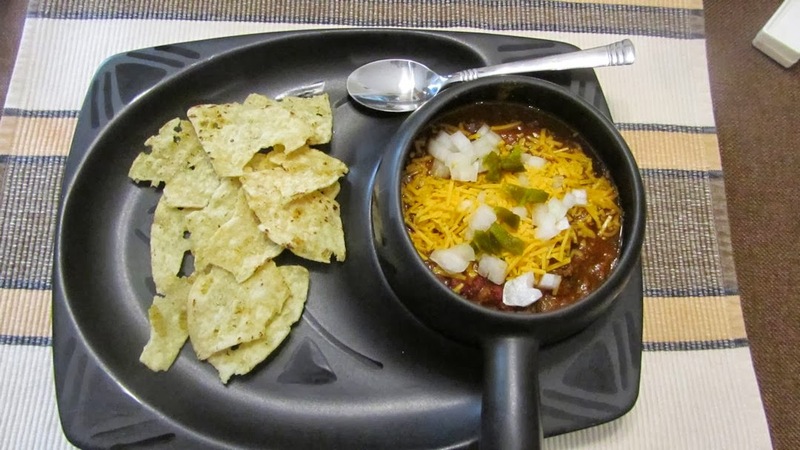 Serve with grated cheese, finely chopped raw, sweet onions, finely chopped Jalapeño, crackers or chips. We think we found a substitute for Chilis - we kept going back to Chilis in the vain hope that it would get its act together but after four straight miserable, slow, cold meals we have finally given up. Oh, I have no doubt we will go back again some time. We will have a weak moment and hope they improve. Meanwhile, Applebees seems to be a reasonably good replacement. Sadly it is not as close to home, and it is a little more expensive, plus, they don't know us like the staff at Chilis do. When we arrive in the door of Chilis, before we sit down in our favorite booth in the bar area, our drinks are being poured. I am afraid that will never happen at Applebees. 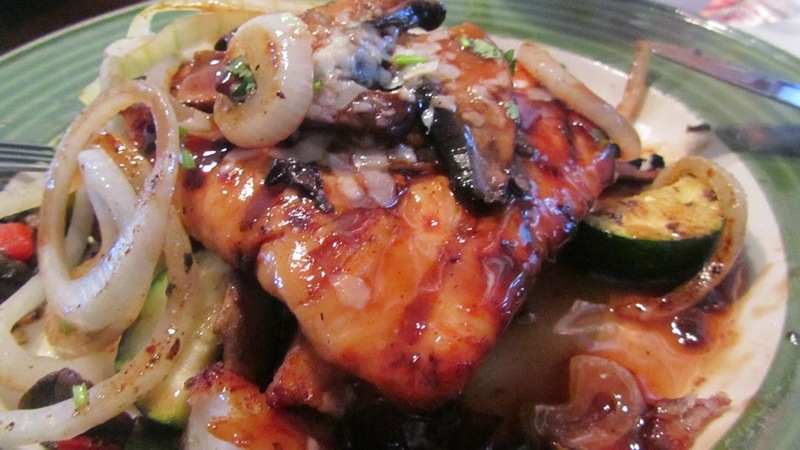 I had eaten in Applebees before, when I lived in California, and Mildred had been a few times with Odell long ago. Larry couldn't remember ever being there so we managed to drag him along once and that turned out to be a very good meal. But the extra 10 mile drive deterred us from going again for some time. On this particular Friday we were definitely not going to go to Chilis, not after our last very unsatisfactory meal, so settled on Applebees. 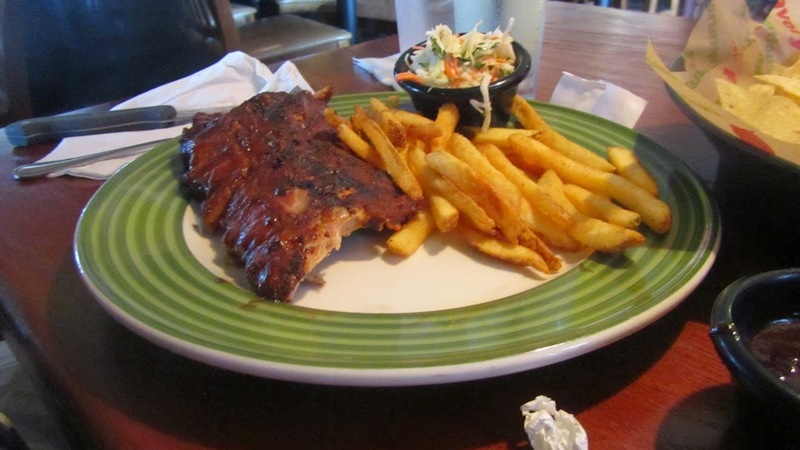 Our server was very efficient and the drinks were served immediately, the food arrived well before we had time to become impatient and was piping hot - if Applebees can do it, why can Chilis not? They used to be able to. I admit that I am becoming curious as to what it is that suddenly turns a successful restaurant into a failure - proof of which is obvious from the half empty parking lot on Friday or Saturday night when we pass Chilis. I know, I am getting boring, but I am still in mourning for our favorite Friday night venue. Back to Applebees. We started with the Queso Blanco with chili - I didn't think to take a photo of ours before we had devoured it all so here is their menu photo without the chili. We were glad we had the chili with it because the queso needed a lot more spice and luckily they did serve it with a side of jalapenos and the chips were very good. I selected from the under 550 calorie section (they also have a weight watchers section). I really enjoyed this dish despite the fact that the chicken was overcooked and there was, as always, way too much food. I did eat all the veggies which were delicious, I have a weakness for mushrooms in general and portobellos in particular and the onions were just like I like them, barely glazed. But I left half the chicken and didn't bother to bring it home, it had already had one too many reheats. Marinated chicken breast grilled and topped with roasted red peppers, onions, portobello mushrooms, dijon sauce and aged white cheddar. Served with steamed herbed potatoes and seasonal vegetables. Larry's choice was the ribs. He was delighted with both the ribs and the fries though the slaw was a bit too sweet for him. A full rack seasoned and slow-cooked to flavorful and tender perfection with your choice of sauce. With fries and cole slaw. Mildred ordered good old fish & chips. She was very pleased with her meal though she did agree with Larry that the slaw was too sweet. Cold-water white fish fillets, hand-dipped in a light batter and golden fried. Served with fries, cole slaw and tartar sauce. We will definitely be going back to Applebees.